250 words. It can be less, but not more. All stories submitted on or before July 26th. We will run the winner on July 27th. This month's winner will get a copy of this fun summer mystery starring Lizzie Borden! New York Nocturne: The Return of Miss Lizzie by Walter Satterthwait. Lizzie Borden and Amanda Burton reunite to solve the case of a grisly murder among Jazz Age New York’s elite in this riveting mystery from bestselling author Walter Satterthwait. Sixteen-year-old Amanda is spending the summer with her suave and easygoing uncle John at the Dakota Apartments, opposite the green sprawl of New York’s Central Park. When John isn’t doing something mysterious with stocks and bonds, he and Amanda enjoy the very best the Roaring Twenties have to offer. However, in a single brutal night, everything changes. Suddenly, Amanda is alone, far from home, and fighting for her life in a city that has abandoned her. Fortunately, there’s one person Amanda can trust: Miss Lizzie Borden. Together, they'll manage to work out a twisted passage toward what might be survival through the narrow streets of nighttime New York. Well, friends, we've been doing this contest for 4+ years, and it's time to wrap it up! Participation has dwindled, and I'm running out of nutty ideas for prompts. I mean, I used SOUP as a prompt this year—really....time to hang it up. Don't despair, though, we may bring it back in a new incarnation in the future. We LIKE the contest (and we know you do, too.) But let's give it a rest for now. LET'S GO OUT WITH A BANG!!! 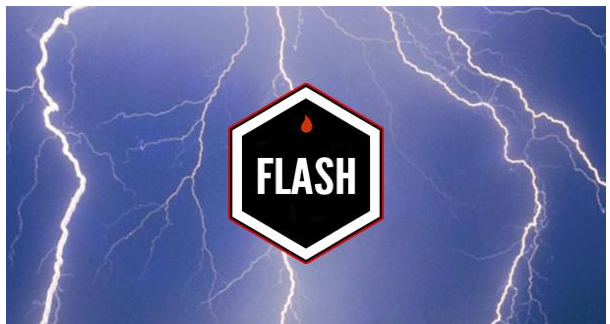 Look through the previous Flash Fiction Contests we've held and pick an Inspiration. We've had a lot—from towels a la Douglas Adams to Axl Rose, from contortionists to classic poems about plum thievery, from scary stories (the winning story still creeps me out) to graveyards (won by our own Emma before she worked for us.) So pick one, and give us a story. Also, please add a link to the original contest page so we can see which one you picked. And please turn in your story by 7/26 to run 7/27, as I will be off the grid starting 7/28. It's been a fun ride, y'all. So long, and thanks for all the flash! And the Winner Is...Christina Re!!! Well, that was hard!! Hard because it was the last one and hard because we had 3 high quality entries! You GUYS! You're making my job hard again, but I love you for it. Thank you to all who have entered and made this such a fun part of my month. Many Congratulations to Christina for winning the last one!! Thank you all!!! My mother looked down at me with an expression as appealing as a snubbed-out cigarette. And yet, it was the face of my goddess. He must not have wanted to. We set off for the park by the old rail bridge. She didn’t hustle that day, instead we walked hand-in-hand. When we stepped up on the sidewalk bottles clinked in her saddlebag like wind chimes. I preferred stomping in the gutters on the crunchy leaves, but mother said I would get dirty. We sat on a bench near the playground. In her cupped palm she held two black gem earrings. I pushed one with my finger and it caught the light. “Do you like them?” She asked. I wanted her to cheer up so I changed the subject. I pulled a tissue from her purse and gave it to her. Her tears could flood out a forest fire. What was left of her stared out mournfully over the wilted stone garden planted at her feet over centuries by the Black Gnomes. The Great Light Above, having served her faithfully since her birth, had dimmed behind the teary shrouds of the Eternal Sea some days or decades before and the Black Gnomes had stopped planting her garden a short time after. Before Garden’s End and The Great Collapse, the Black Gnomes would fill her and warm her and chirp and chant inside of her, tending to her needs dutifully. They carried their seeds into her womb and spoke their gardener’s incantations over them before planting them at her feet, sprouting up stone children she admired for their maternal resemblance. The last of the Black Gnomes had knelt before her toothless mouth and stared at her crumbling feet before screaming and wailing into her, sending the last shiver down her pillared spine. Its departure harbingered the era of Garden’s End, in which no more seeds would be planted, no more adoration would be paid to her majesty, and from which ultimately came the Great Collapse, when the tears of the Eternal Sea broke her spine and collapsed her holy womb. Only her stone garden could witness in dumbfounded silence, and in mourning her majesty began to crumble beneath the Eternal Sea’s same tears. Lost now in Garden’s End, the bereaved mother measured sacrilege. Of all her holy sacraments, Time, which always felt the most profane, was the most sorely missed. Dude...I'm super bummed. I really liked this column. Like a lot. Hell, my friend (Grant) got me started on writing on this alone (since I was too much of a wuss and he was like "dude, it's 20 words or whatever"). Taylor, it's been fun. I appreciate all the hard work you did in putting this together every month. Couldn't have been easy. Anyway, here's my final entry. I figured if it's the last one, I might as well go out with a bang like you suggested and submit something befitting my handle. "Think they celebrate Christmas like we used to?" Jake asked, not bothering to hide his contempt. "I celebrate Hanukkah," Deanna responded as she adjusted the sights on her rifle. The alien stood there, outside its massive, newly erected cathedral. It professed to a crowd of faithful praetorians adorned in modern suits, having discarded the antiquated robes and vestments from an earlier age. Despite banishment long ago, it held no ill will. Instead it had watched, waiting for myth to turn to legend. Then, at the brink of war, it returned. Twisting her neck with a satisfying pop, Deanna gently placed her eye on the rifle’s scope and added, "Still, its blood will be festive, nonetheless." “Looks like it’s hiding a parting gift from your ancestors,” Jake noted, eyeing the intricate brown leather bands that wrapped both the alien’s wrists. Deanna could have swore their eyes connected before she pulled the trigger, the alien flashing a slight grin before its blood painted the ornate cross behind it. “Will it ever return?” The kid asked, frowning at the sourness of his grandfather’s words. She thumbed another quarter into the payphone. I impatiently tugged at her skirts, hid under them when strangers approached. When a man finally answered she turned from me and spoke softly into the receiver for a few minutes. I have loved participating in these Flash Fiction competitions! There have been so many fantastic, creative entries over the years. I have learned about word economy, which is huge. Also, this helped me realize I can finish and submit things. So I'm doing that pretty regularly now. I chose my prompt as a throwback to my first entry. I went back and read my submission, and while it isn't dreadful I think I've grown a lot as a writer over the past few years. Thank you so much Taylor (and Rob) for all your work. It has been a blast. Well thats great, but I just joined and this is just the kind of thing I would enter. Hopefully you bring it back.